Spicy Kielbasa Chili Dip is loaded up with smoked kielbasa, cream cheese, black beans, pinto beans, jalapeños and ooey gooey cheese! Serve with tortilla chips and red peppers for an irresistible dip you won’t be able to get enough of! Football season is still in full force. If you have lost your husband to watching football season do not fear. I am bringing you a delicious dip to represent Pittsburgh today and you will quickly become a football fan. 😉 Both Amanda at I am Baker and I are bringing you some delicious flavors from Pittsburgh. She is sharing an amazing Pittsburgh Sandwich Dip with Fries. 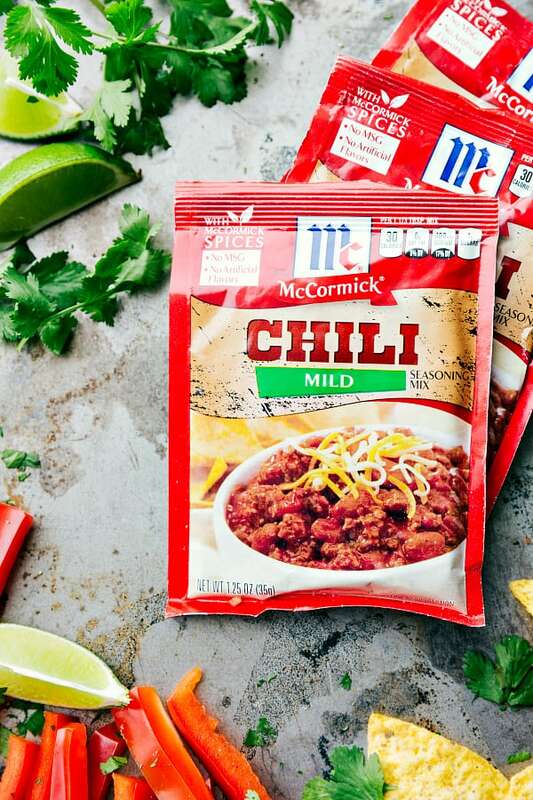 We have been participating in McCormick’s 50 dips for 50 states. 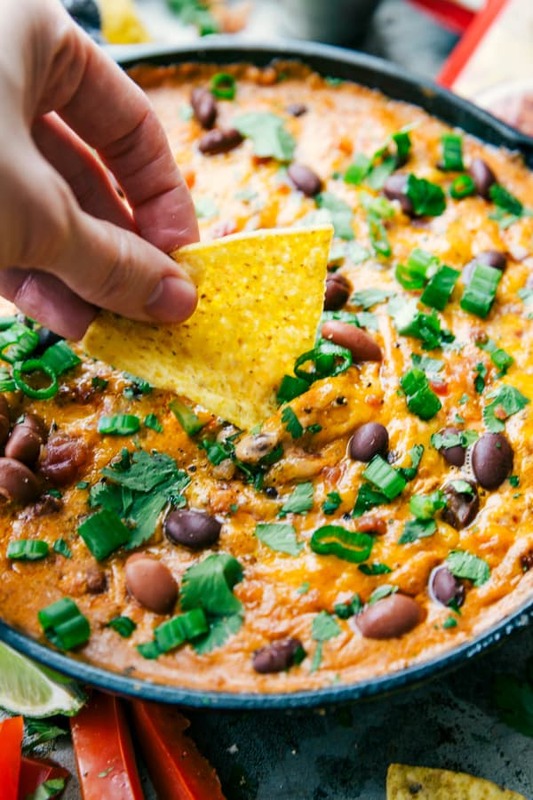 Have you been following along on all of the drool worthy and addicting must have game day dips? I have shared this Buffalo Chicken Dip and Loaded Texas Trash Dip. But this one today is representing Pittsburgh and it is my favorite! 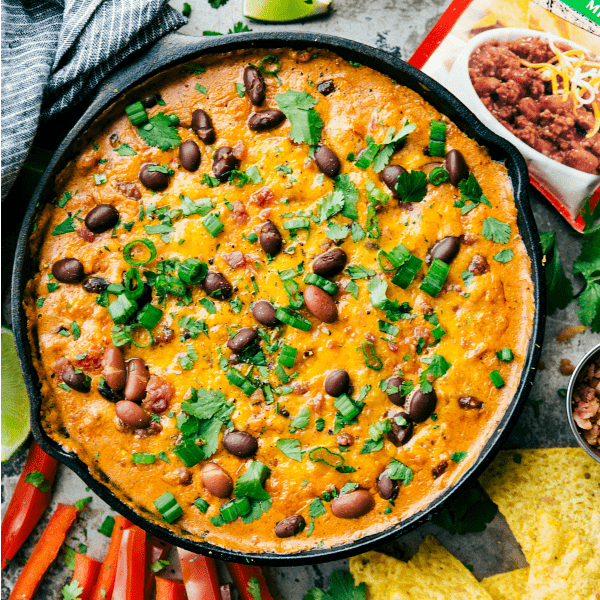 My dip competitor is Jen over at Carlsbad cravings and she is representing Boston, and sharing this Boston Baked Bean Dip. That dip is loaded up with all of the delicious flavors of Boston. And today I wanted to incorporate Kielbasa which is famous in Pittsburgh. Kielbasa can be served as a sandwich with sauerkraut, or with beans and potatoes. So I thought why not load it up with spicy flavor and turn it into a delicious dip? Oh man. You have not lived until you add smoked Kielbasa to a dip! The flavor was out of this world! I added some heat with Rotel and jalapeños and it was so simple to add McCormick’s Chili spices to the dip. 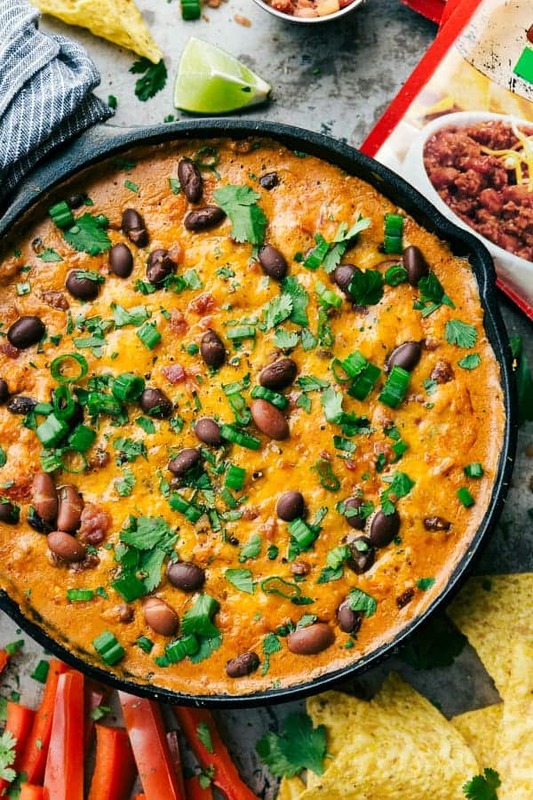 Of course it has all of the things to make a dip amazing like cream cheese, black and pinto beans, and ooey gooey cheese. This dip comes together in no time at all and I promise you are going to love the smoked kielbasa hidden inside. I hope you guys are enjoying football season as much as we are! 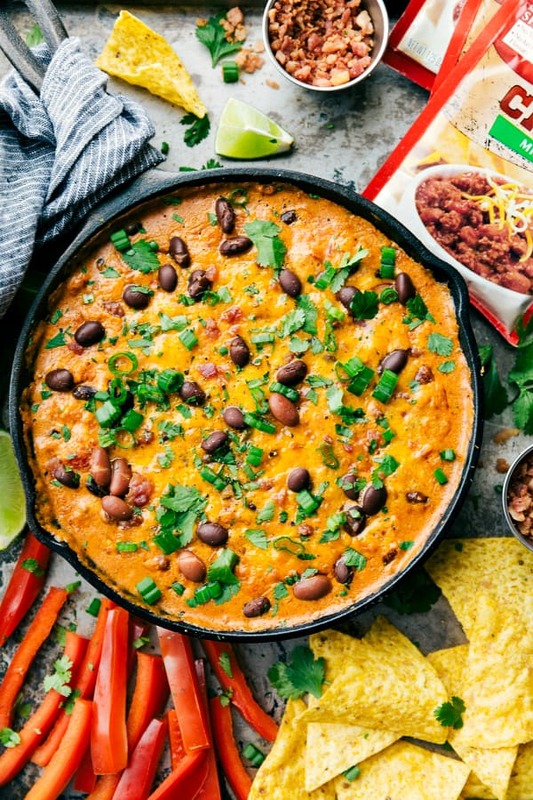 If you are cheering on Pittsburgh or Boston this weekend then be SURE to make this amazing dip! It will be the hit of your football party! In a nonstick skillet, sauté the kielbasa until browned. Transfer to a small crockpot. Add in the very well drained Ro-tel, undrained chili beans, and rinsed + drained black beans. Add in the chili seasoning and jalapeños to taste. Cover and cook on high for 1 and ½ to 3 hours or until hot. Cube the cream cheese and then soften in the microwave. Add to the crockpot and briskly whisk (with a whisk) until completely smooth. Stir in the cheddar cheese. Cover and cook until the cheese is completely melted. If desired top with fresh cilantro and green onions. Season with salt and pepper if desired. Enjoy with chips and red pepper strips.